I was very excited to receive this new release filled with excellent performances and the intriguing music of Ben Johnston. Guitarist John Schneider is well known for his work with just-intonation and micro-tonality as well as his performances of Lou Harrison, John Cage, and Harry Partch. Schneider has been hailed as “Unforgettable” by the San Francisco Chronicle and “A mind-boggling experience….” – Guitar Player Magazine. His recording of Partch is of particular interest and even landed him a nomination for “Best Classical Compendium” at the Grammys. It is only logical and right that he would be an excellent match for the music of Ben Johnston. Johnston is a composer who has greatly expanded the writing for just intonation and is one of the foremost composers of microtonal and contemporary music in America. 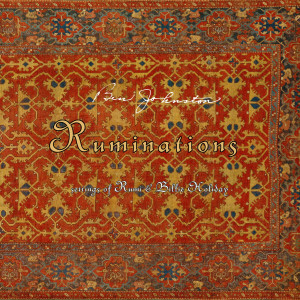 Ruminations is filled with a number of works including a 25 minute song cycle for refretted guitar and voice performed by Schneider, revised jazz standards performed by the Eclipse String Quartet, and a four movement cycle for voice, clarinet, and violin performed by Karen Clark/voice, Jim Sullivan/clarinet, Sarah Thornblade/violin. We set out to do The Tavern as a collaboration, because John Schneider knows the guitar as very few (maybe not any) know it. 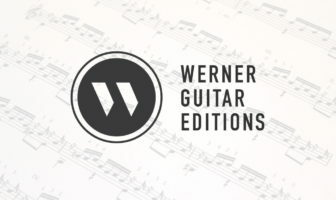 I was long ago convinced that the fingerboard, which is removable and based on deciding upon a set of pitches needed for each particular tuning, ought if possible to become the next step in the history of the guitar in performance. Our work to make The Tavern is a major step toward this goal (Johnston). As expected, the actual guitar playing on this album is brilliant. Schneider has a mature sense of rhythmic flow as he weaves together various textures and gestures that compliment the vocal part (also performed by Schneider). The micro-tonal guitar sounds right at home in this work which is a testament to Johnston’s experience and comfort with the medium. The text is also wonderful. At times it can very introspective but then suddenly give you a laugh. As the composer explains: “The Tavern is a setting of Coleman Barth’s translation of Rumi. It’s a Sufi idea of what it is to come as a beginner to that particular brand of spiritual discipline and how, in one aspect, it is a lot like getting drunk in a tavern (Johnston).” At the end of the album there is an interview between Schneider and Johnston which is also available online via SoundCloud (embeeded below).